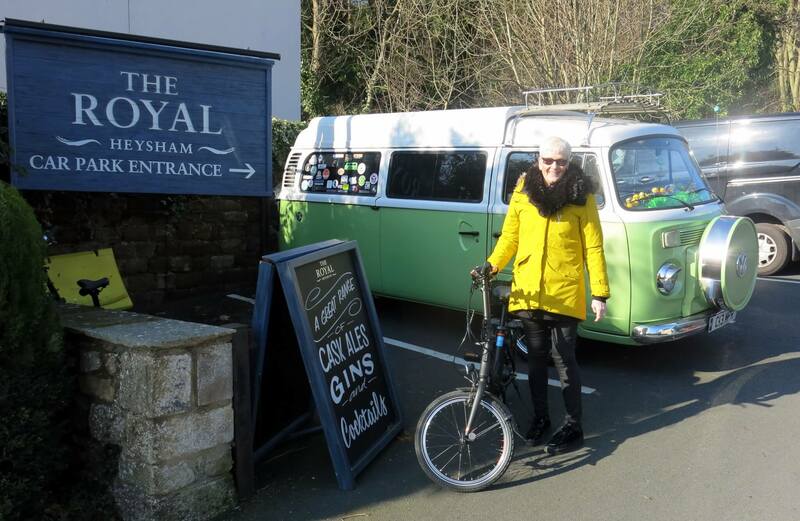 Our original plan to go up to the caravan at Sedbergh over the Easter break was put on the back burner – it was just too cold and we didn’t want to risk a burst pipe when we switched the water back on – so we’ve been out for days instead. Our first trip was to the Wyre to walk along the Skippool Creek. We parked at the Wyre Estuary Country Park just outside the barrier as I wasn’t sure we’d clear it.The Park has its own Facebook page here. This is a place we’ve never been to before and the walk along the Creek towards Fleetwood would be great on a warmer day. As it was the wind was biting and the walk wasn’t helped by the fact that the path had recently been resurfaced with very large chippings. The way was soft underfoot and made walking quite difficult. Even Boz didn’t like it, as it hurt his paws. We came back to the van for a brew and chilled for a while, people watching – the new tinted windows mean you can do this quite surreptitiously, although it gives people a shock when they have a nosey in and see us sitting there! We drove to Knott End and parked overlooking the end of the Wyre Estuary where it meets the sea. We were right across the bay from Fleetwood and we could watch the passenger ferry coming backwards and forwards. The tide goes out very quickly here and the Ferry could only dock at the very end of the runway. By the time passengers had walked down to get on they were already half way to Fleetwood. You could even see Blackpool Tower in the distance. A good trip and somewhere we’ll probably go back to at sometime. On Easter Monday we drove to Lytham in bright sunshine but it was incredibly windy. We had a brief walk along the waterfront to the windmill but it was extremely cold so we headed back for a cuppa. Drinks set up, kettle on, then disaster – we ran out of gas and don’t have a spare canister so we had to come home for a brew. At least we’d been out and Boz had had a walk. Tuesday was taken up with a Vet’s visit for Boris and a trip out to look at somewhere he can go when we’re on holiday so no trip in Absinthe. Our next drive out took us up to the Lakes on Thursday. The M6 was not too busy but the cross winds were horrendous. I took us off at Carnforth to go up the A6. I knew there was a petrol station just south of Milnthorpe that sold gas, so we’d be able to fill up with petrol and buy a new canister. Whilst Alison fuelled up I took the old camping gaz cylinder in to swap it for a new one. They took payment but then discovered they didn’t have any of the right size. The money was refunded and they then went on the phone to try and find somewhere locally who’d have one. They rang a DIY store in Milnthorpe who had one left, and arranged for me to pick it up there. Great service, way beyond what they needed to do and 15 minutes later I’d picked it up, fitted it and we set off to Windermere. The plan was to park at the start of Wainwright’s walk up to Orrest Head but when we got there is was too cold and windy so we headed into Lakeland Plastics for a bite to eat and a mooch around. The parking attendant took one look at Absinthe and gave us our own private parking spot. He was a VW enthusiast and had a van himself. He promised to keep an eye on her until we came back. We bought some bits and pieces and set off through Windermere Village towards the ferry. 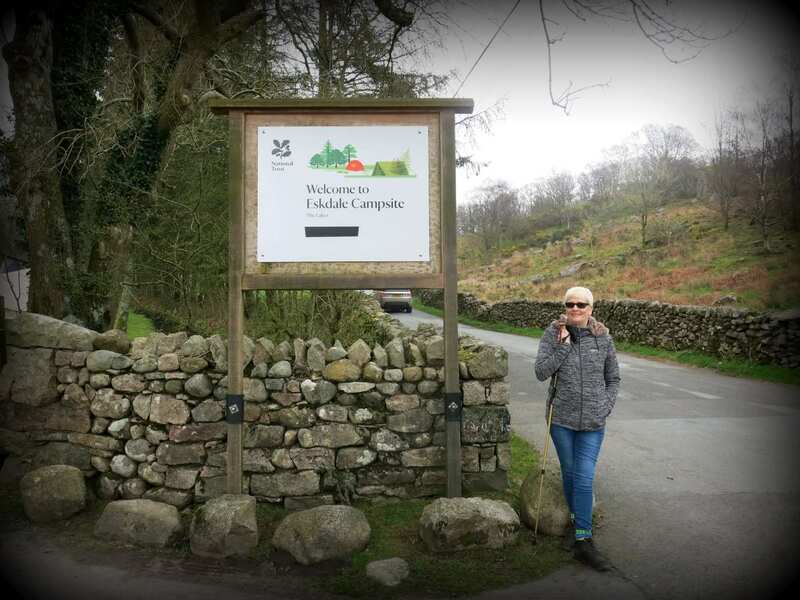 We were first in the queue and planned to head to Grizedale Forest for a walk around the sculpture trail. Once across the Lake, we headed to Hawkshead and then on to Grizedale. We parked up and did a short walk around the forest with Bozzer. Alison was in a funny mood and felt like winding something up. Back at the van, we brewed up and did some more people watching (those tints are great! ), before heading to Torver to see one of our friends. After a couple of hours chatting,we set off back home, with a plan to grab fish and chips on the way. Boris was due another trip to the Vets the next day and had to have his food before 8pm as he was having a GA in the morning. We didn’t have any food for him with us and it didn’t look like we’d be back in time so we stopped at Booth’s in Milnthorpe to buy him some. That just left us the task of finding a chippy so we drove down the A6 and found one in Carnforth. They were just about to close so we only just made it. 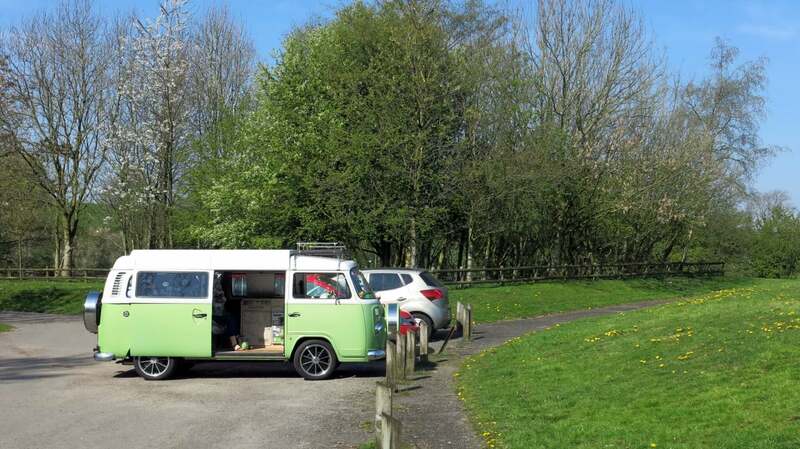 We parked in a car park next to the Lancaster Canal overlooking Morecambe Bay and whilst I took Boris for a walk, Mrs B served up our tea and made a brew. A great day out and we finally got home about 9.30pm. 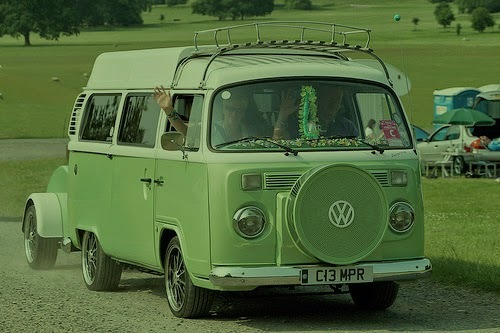 A campervan without Camping Gaz is just a car! Feeding Boz anything but his usual food will have consequences later on!